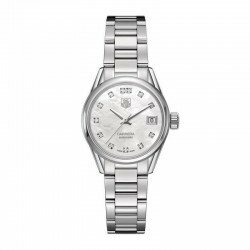 Tag Heuer Women's Watches for Sale Online at Discounted Prices. Free Shipping to United Kingdom and the rest of Europe. Buy Tag Heuer Watch WAR2410.BA0776 at the best price. Tag Heuer Carrera Women's Watch WAR2410.BA0776 Automatic, Model number: WAR2410.BA0776, Category: Tag Heuer Watches. It's selected according to high standards of quality and offered at special price. The materials used for the case and strap, the care of workmanship of the glass, the cure for the details of the dial, the quality of movement, the original design ma..
Buy Tag Heuer Watch WAR2414.BA0776 at the best price. Tag Heuer Carrera Women's Watch WAR2414.BA0776 Automatic, Model number: WAR2414.BA0776, Category: Tag Heuer Watches. It's selected according to high standards of quality and offered at special price. The materials used for the case and strap, the care of workmanship of the glass, the cure for the details of the dial, the quality of movement, the original design ma..
Buy Tag Heuer Watch WAR2416.BA0776 at the best price. 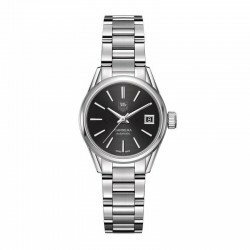 Tag Heuer Carrera Women's Watch WAR2416.BA0776 Automatic, Model number: WAR2416.BA0776, Category: Tag Heuer Watches. It's selected according to high standards of quality and offered at special price. The materials used for the case and strap, the care of workmanship of the glass, the cure for the details of the dial, the quality of movement, the original design ma..